Balladeer’s Blog welcomes back my sister Rosemary as a guest commentator to share her enthusiasm for the upcoming Iditarod Race. She is a terrific Good Will Ambassador for the event and has gotten me and several other people into following the race each year. Today is the ceremonial start of the 2016 edition. Ragnar will provide color commentary. Balladeer’s Blog will once again offer updates on the race as it progresses, complete with each competitor’s Official Balladeer’s Blog Nickname. Rosemary’s new broadcast partner, in the tradition of Sonny and Sam, is her dog Ragnar – seen at left. Ragnar here with a reminder that the Iditarod Race starts in 18 days. My Mom (Rosemary to many of you) is pretty much a Goodwill Ambassador for the event and always attracts all kinds of new eyes to the race. 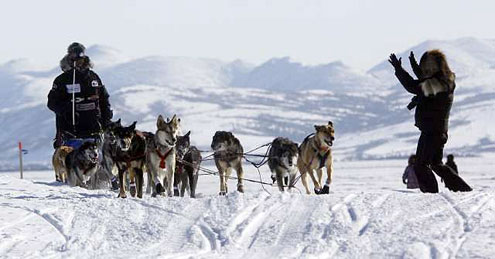 Here is a piece of the “About the Iditarod” article on the website http://iditarod.com/about/. Please check out the whole article to get a larger picture of the whys and whats about the Iditarod. There is even some shopping for souvenirs, bumper stickers, jewelry, clothing and Misc. to commerate this year’s race. RAGNAR: Hello peeps! Ragnar here! I’m not a Huskie but I play one on tv. The 2016 Iditarod is just 37 days away and as always my Uncle Balladeer’s Blog will be the forum for my Mom’s inimitable coverage complete with on-the-spot nicknames made up for all the competitors. As the 2014 Iditarod Dog Sled Race continues I once again turn you over to my sister Rosemary Wozniak, Balladeer’s Blog’s Official Iditarod Correspondent. Take it away, Rose! As I have mentioned on my Facebook Page, a woman has not won the Iditarod since 1990. 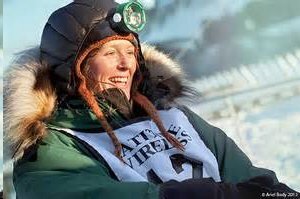 I am hoping that this year one of the women mushers will win. 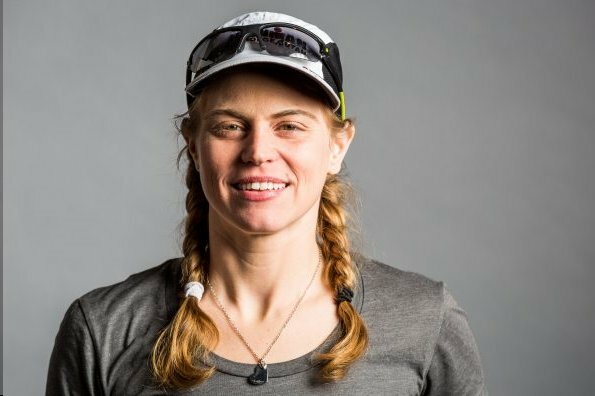 Today I am going to write about Paige Drobny who will be running in her second Iditarod. As I have mentioned on my Facebook Page, a woman has not won the Iditarod since 1990. I am hoping that this year one of the women mushers will win. Today I am going to write about an Iditarod rookie…Katherine Keith. Today I am going to write about another of my favorites of the veteran women mushers…DeeDee Jonrowe. According to her official biography on the Iditarod website http://iditarod.com/race/2014/mushers/95-DeeDee-Jonrowe/ , DeeDee Jonrowe, 60, was born in Frankfort Germany while her father was in the military. The family moved to Alaska in 1971.